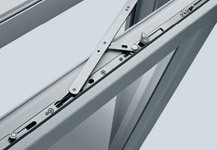 Fittings are an essential part of the window. 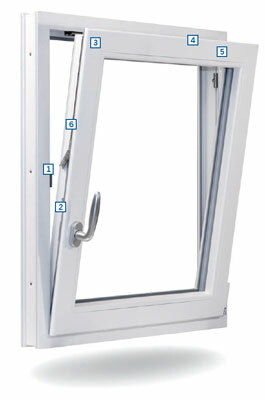 It is necessary to ensure an optimal sealing, closure, ventilation and anti-burglary system. 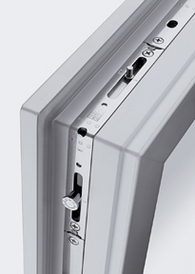 All our windows have exquisite fittings of major European German company Winkhaus, new Winkhaus activ Pilot fittings. 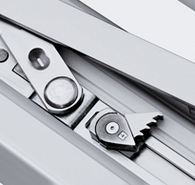 Winkhaus activ Pilot fitting combines some innovative and practical solutions. Activ Pilot fitting is modular system of transparent structure with less number of elements in comparison to the previous AutoPilot fitting. 1. Modular fitting design enables the regulation on individual safety levels, and offers the possibility of individual protection. System can be modulated and can be with a small effort upgraded on WK2 safety level. 2. 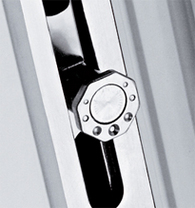 Activ Pilot fitting is easy to modulate and has a completely new system of locking based on octagonal bolt that can be adjusted manually. Multifunctional elements are incorporated simply and easily, even on the previously used windows. 3. 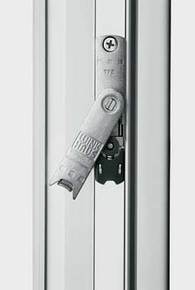 Excellent quality Winkhaus activ Pilot excellent quality fitting is acknowledged by many independent institutes which confirmed robustness and efficiency of this technology. You can be sure that you are buying the product of great quality. 4. Winkhaus activ Pilot fitting saves energy and different angles of casement inclination enable constant air-infiltration without significant loss of energy. It protects your health, as well as saves your money. 5. 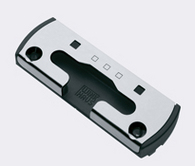 Attractive design of Activ Pilot fitting makes it different from other similar products of massive production. With the integration of it, the window value raises. 6. Flexibility of this innovative and modular system of Activ Pilot fittings can be seen in the possibility of easy adjunction of elements as well as in responding to the highest safety demands.